The Heard Museum, one of the country’s preeminent showcases of Native American history and culture, is fascinating in so many ways and certainly a Phoenix treasure. Many residents, though, are not aware of its changing exhibits of contemporary visual art. It so happens the current exhibit is a real crowd-pleaser, featuring not only Southwestern art favorite Dan Namingha, but also his sons, Arlo and Michael Namingha. Like father, like sons? Not exactly. All three artists give us divergent styles in this exhibit, which is called “Landscape, Form and Light,” and all three artists give us much to admire. Dan Namingha, for starters, in recent years has greatly expanded on the concept of Southwestern landscapes, going from a trademark dreamlike canvas to one of geometry and endless horizons. The qualities of light and shadow are always in play, with breathtaking statements on the colors of mesas and deserts. 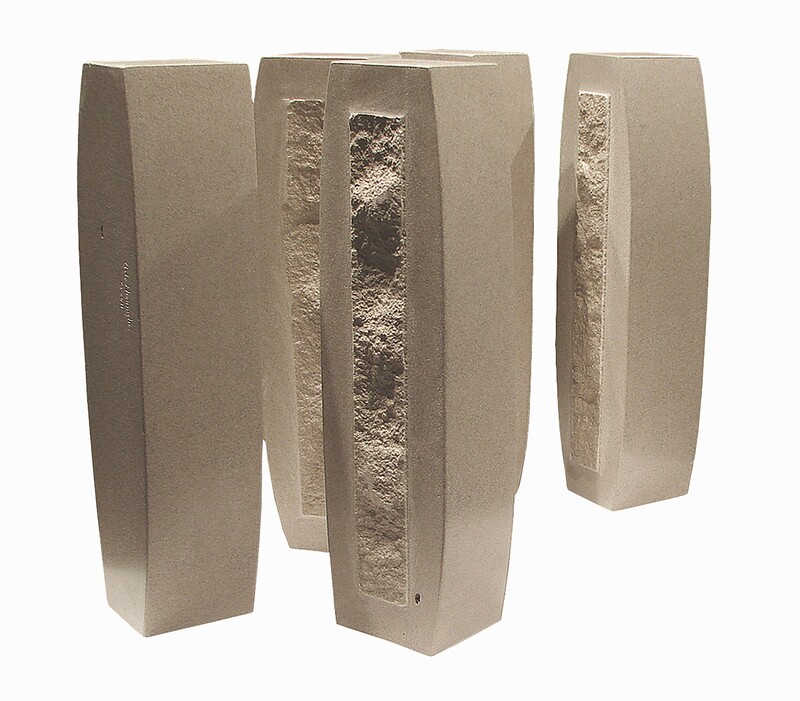 For Arlo Namingha, the strength seems to lie in sculpture, and I especially liked his limestone series “Fifth World,” as well as the bronze plaques that form “Passing Clouds.” Both he and his father wear their spirituality on their sleeves. And then there is the abrupt but delightful turn by Michael Namingha, whose ink on paper and ink on canvas works make biting social commentaries about the economy and computerized culture. Don’t miss the sculptures in the center of the Crossroads Gallery or the upstairs level, featuring little-seen works by Dan Namingha. Also, you can see my review on the show from a few months ago in the archives at visualartsource.com. 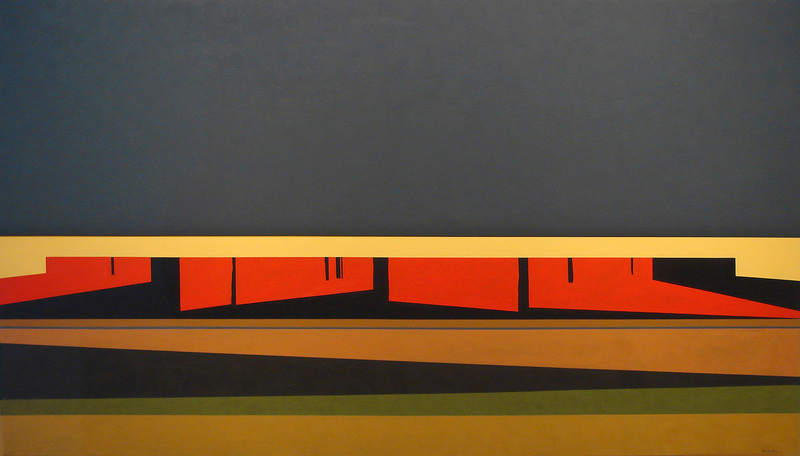 © 2011, acrylic on canvas. © 2009, ink on wallpaper, collection of the artist. 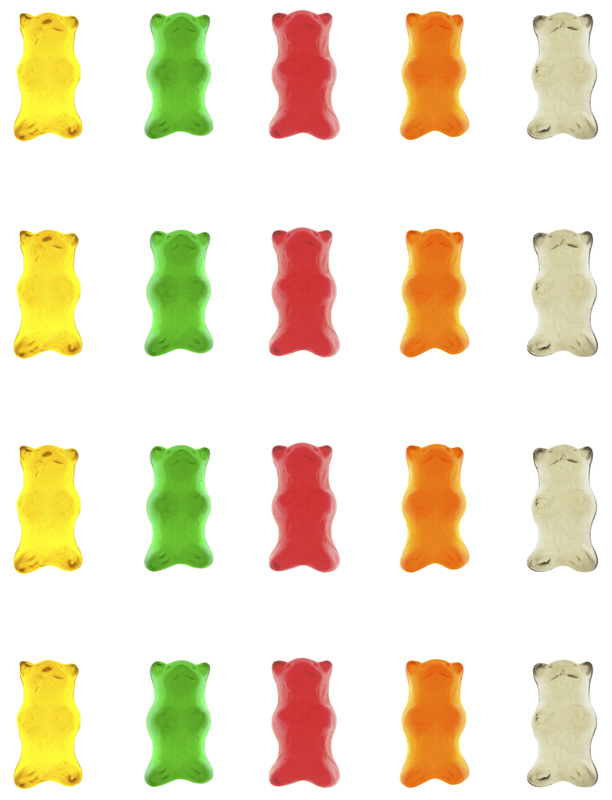 The “gummy bears” are amazing when you experience them on the grand scale–saw the exhibit and really enjoyed it. Thanks for sharing the photos!